Would you like to know how to get stuff for free? I shared my tips with Inside Edition in preparation for filming the segment that aired today. They’ve posted my tips on their website in a PDF format that you can print and it’s a great place for my new readers to get started on their freebie adventures. It’s a great summary that covers my favorite sources of free samples, what new “word-of-mouth” marketing programs want to send you free full-size product samples, my favorite companies and how they’ve rewarded me, why some sweepstakes are easy to win, and why freebies are worth your time to pursue. Go print it out and share it with everyone you know! unfortunately I can’t read PDFs on my computer. 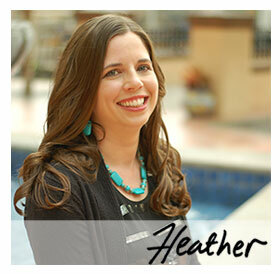 Hi Heather – just wanted to post a quick note of congrats on the Inside Edition spotlight! Great job. :)-Meredith K.
I love your segment on Inside addition. I have an 18month old and wipes and pampers do go fast and this is a great idea for other items as well. Saw ya! How does it feel to be on tv?! :)Thanks for the AWESOME site! I saw the Inside Edition show and went to the site immediately. I cannot thank you enough for this site! You have a nice speaking voice! I loved the segment. Did you see yourself on the Inside Edition homepage, they make you put stuff out super fast. Ah, to do motherly things that quickly! I'm soo happy I caught the segment on Inside Edition last night. I don't know how many product websites I signed up to in hopes of receiving free samples. Knowing about this website ahead of time would've saved me so much time & trouble. Thank you very much. Saw you on Inside Edition and am thrilled to get this out. I’ve been doing this for a few years and send my new links in mass email to friends and clients. How cool is it to get free fabric softeners, tampons, pet foods? Fall of 07 I gave my boyfriend about $100 in free pet food for his cats and dogs. Freebies Rule!!!!!!!!! Can’t wait to watch the show. Congratulations! This was great info! I linked to you!